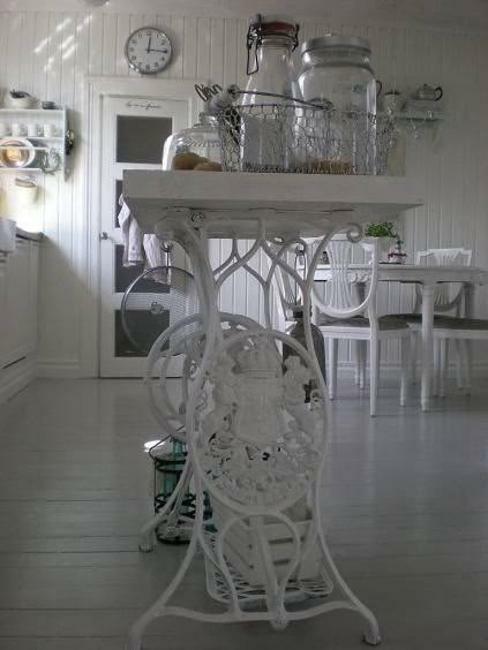 Recycling is a creative, Green, modern way to create something new, exciting, original, stylish for your home interiors. 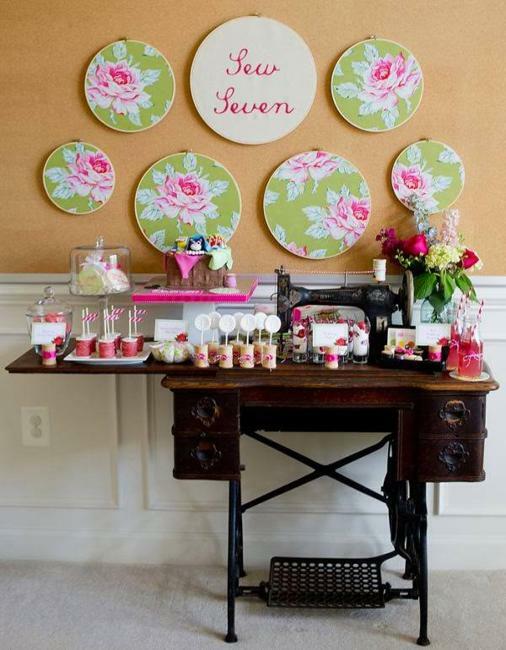 Do-It-Yourself projects are fun to do when you turn vintage furniture and accessories into beautiful, modern accents. 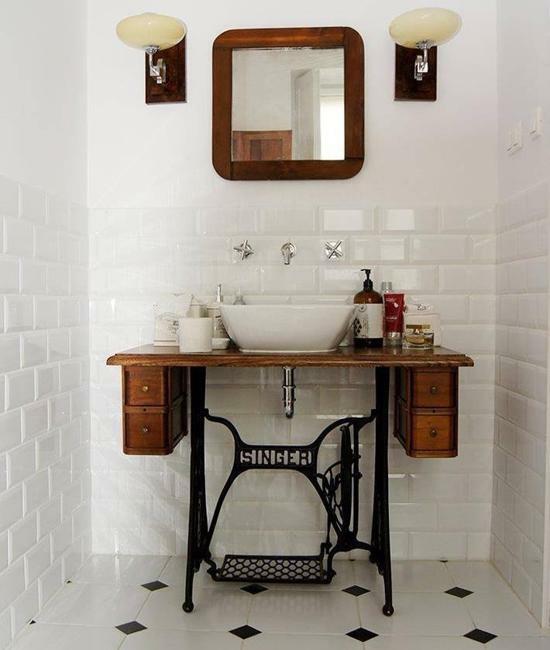 Recycling vintage sewing machines for tables and bathroom sinks offers inspiring ideas to explore your artistic nature and demonstrate your design skills. 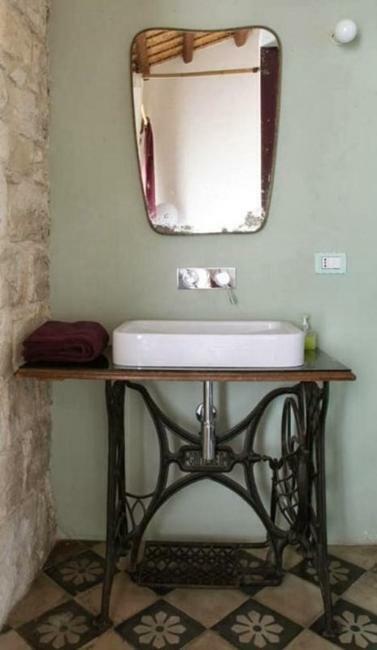 Old sewing machine frames are unique and beautiful items which creates original tables and bathroom vanities giving a personal touch to modern home interiors. 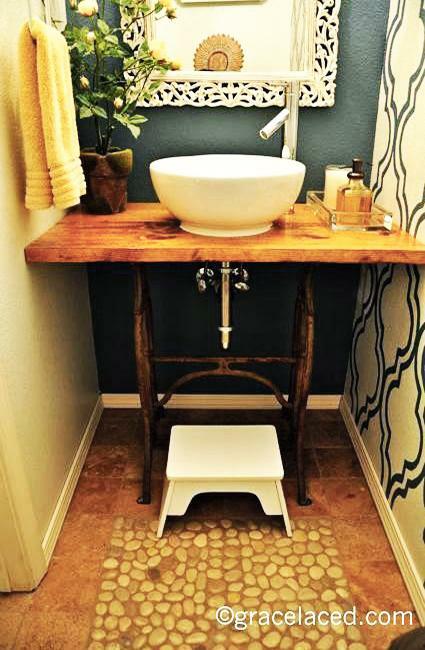 Recycling transforms simple things you can find at home to something exceptional, useful and fun. 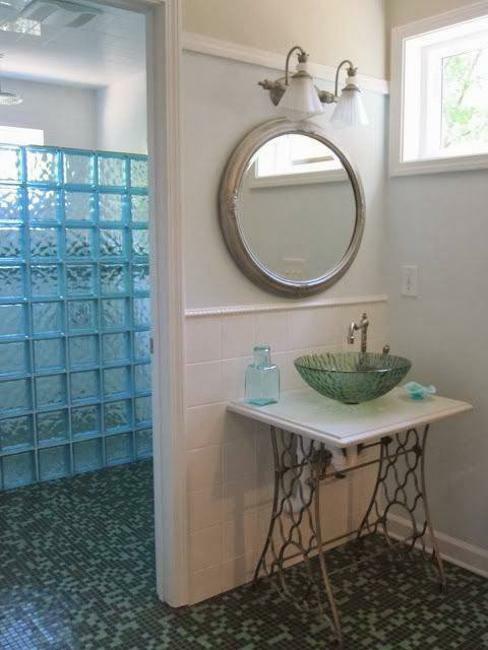 Recycling vintage frames are perfect for modern home decorating and allow adding unique accents to creative interior design. 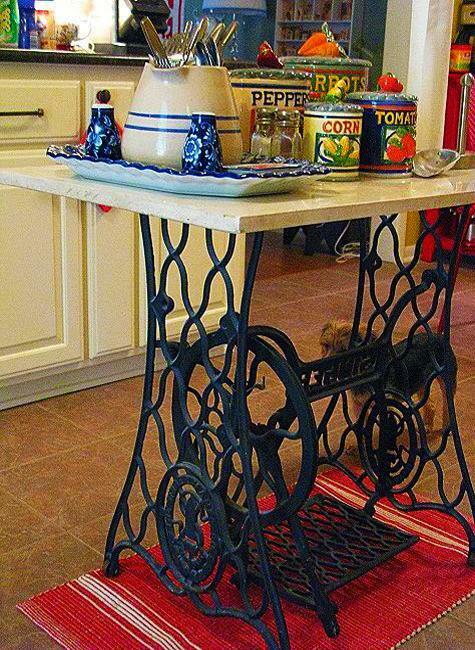 Everyone can admire smart recycling projects that transform tables of vintage sewing machines into modern home furnishings. 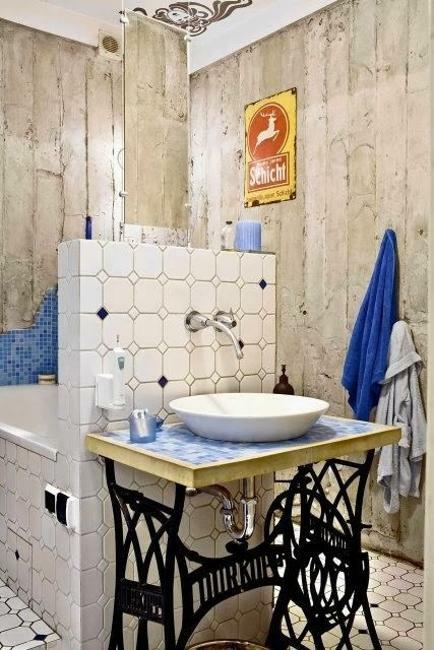 DIY tables for kitchens and other rooms or bathroom sink vanities bring out creativity and show resourcefulness while saving money on buying expensive new items. 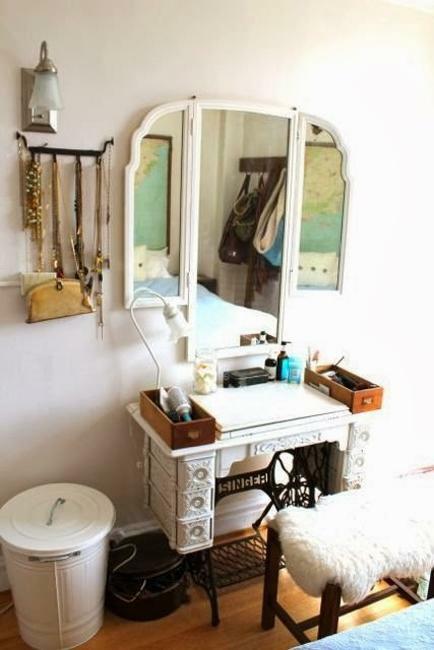 Engaging yourself into recycling is a fantastic way to let your imagination meet your skills. 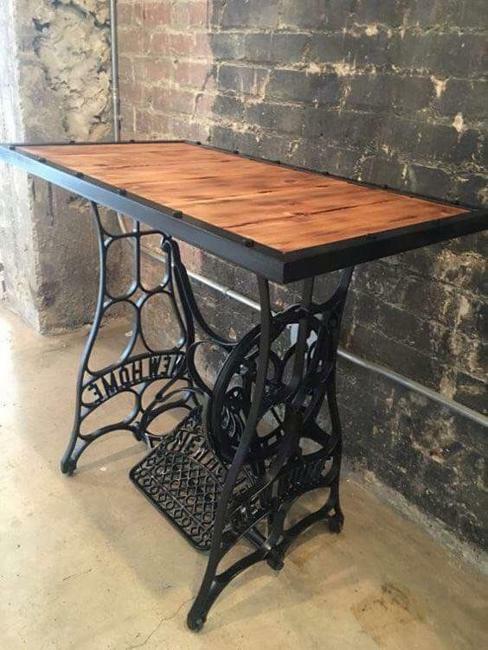 A vintage sewing machine is ideal for making elegant and unique tables that make a statement and improve your interior design. 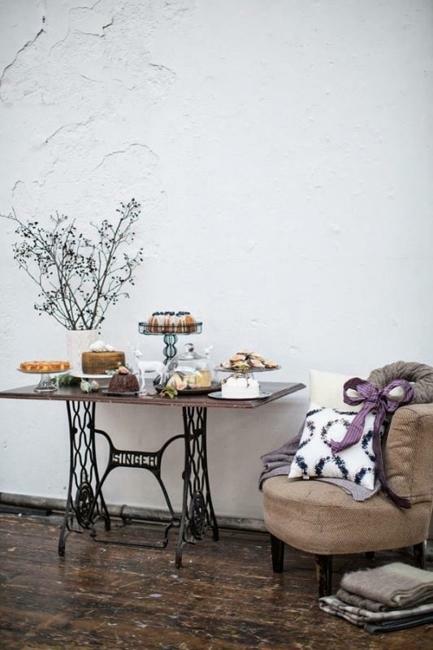 What is great about vintage furniture and accessories is that these items look beautiful and original. 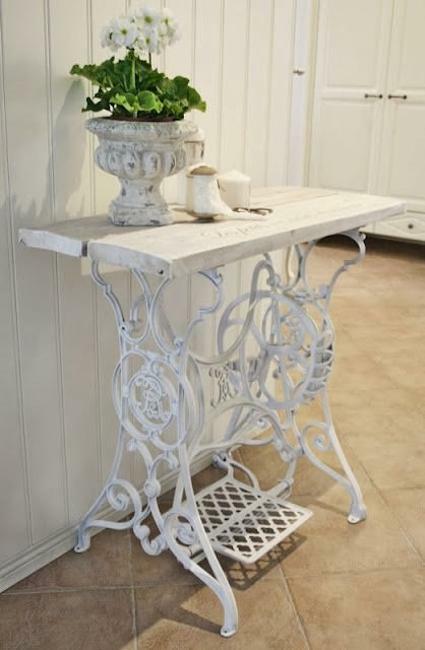 You can customize and make new home furnishings, more personalized and contemporary while recycling old pieces. 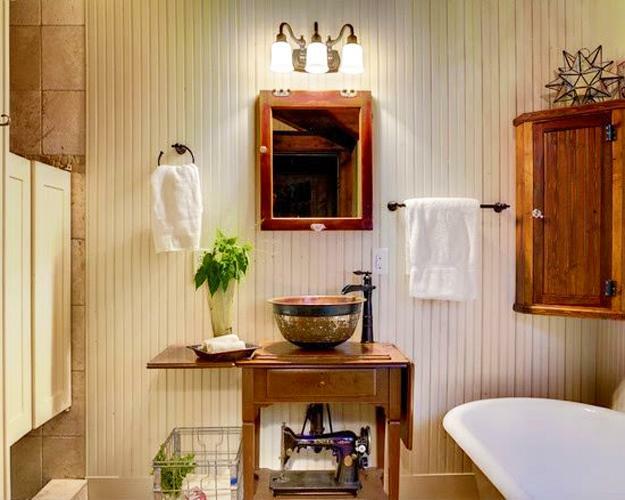 You can enrich your interior design and improve your creative skills. 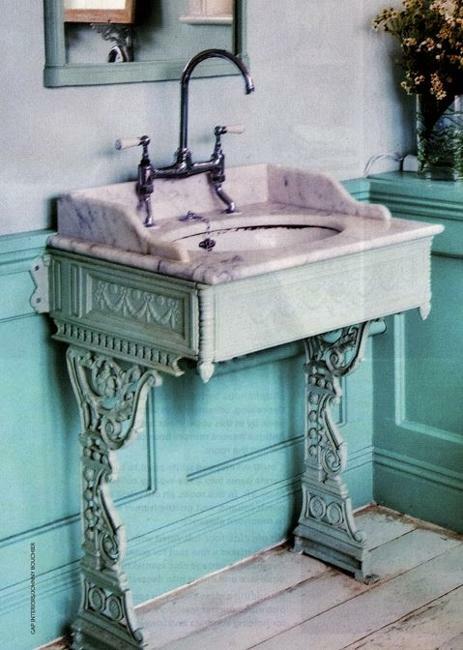 You can make something entirely new and modern and use of the materials that are no longer useful. 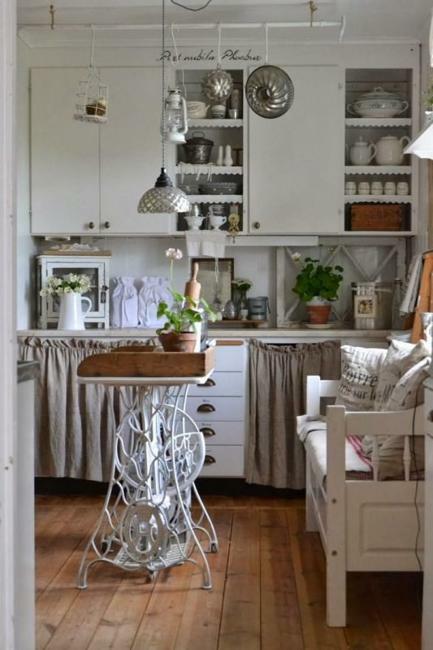 A concept to reuse and recycle a vintage sewing machine is about creating something exciting from the thing that is left forgotten but still taking space in your home. 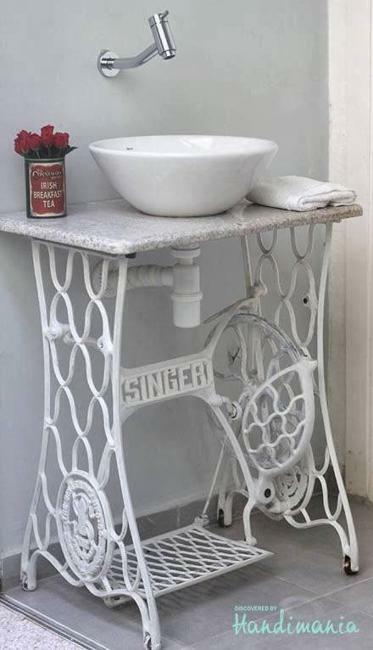 Old sewing machines look outdated and useless, but with a splash of paint you can change the total look and design new tables for kitchens or bathroom sink vanities that are eye-catching and unique. 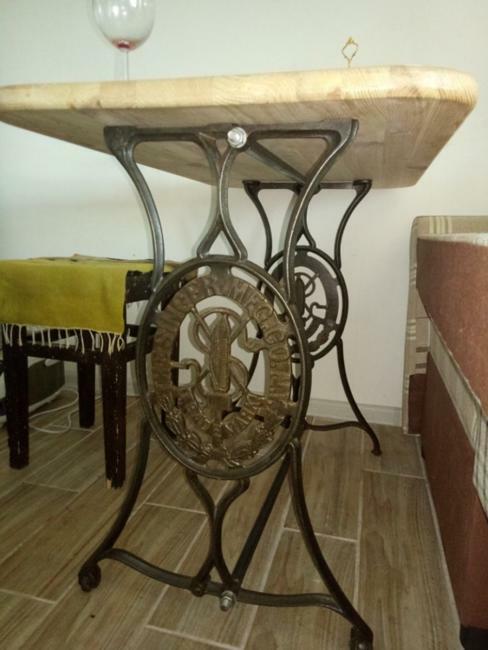 Your interior design will benefit from the dramatic transformation when you integrate your old sewing machine into your room decor. 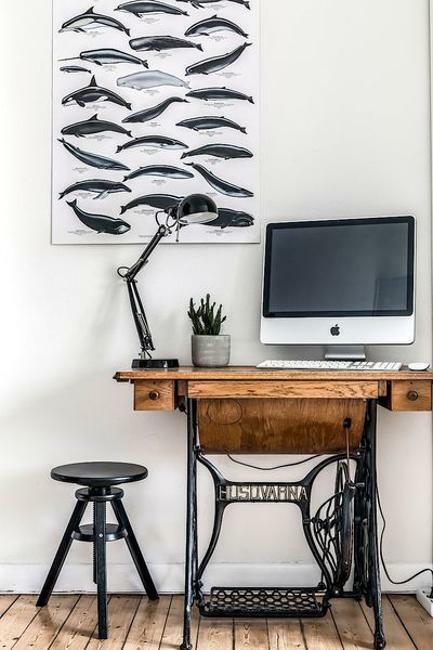 Black paint or a bold color like bright green or yellow, pastels or any your favorite color design will turn a useless old item into a fabulous home furnishing. 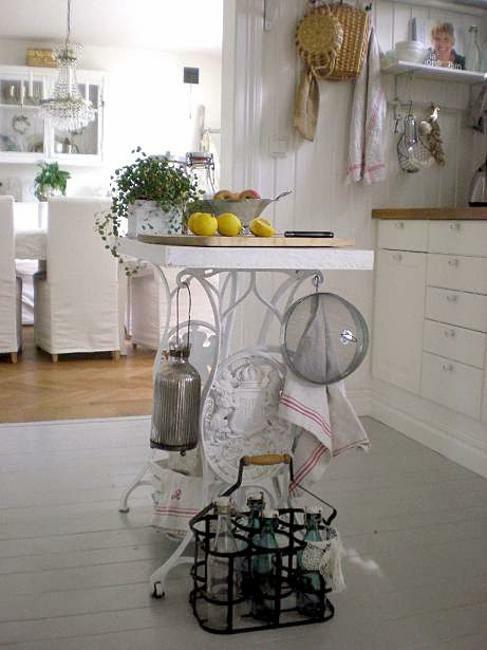 You can explore recycling ideas and get inspired by creative designs. 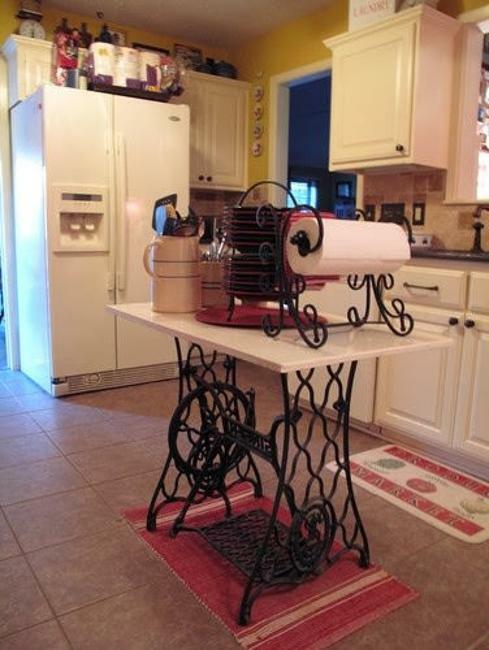 Think of various colors you can use for recycling your vintage sewing machine and updating the look of your room.